Are you ready venture onto an uncharted island where kids survive and thrive? Your Shipwrecked Ultimate Starter Kit is packed with everything you need to get started on a VBS experience where kids are anchored in the truth that Jesus carries them through life’s storms. - Shipwrecked Ultimate Director Go-To Guide®: The ultimate step-by-step resource for planning, recruiting, promoting, training and...well, everything a successful director needs. - Leader Manuals: The easy-to-use, field-tested guides make it a snap for your station leaders to lead kids through the best VBS experience ever! - Imagination Station Sampler: With this complete collection of Imagination Station activities you'll see how each daily Bible point is reinforced through fun, memorable, totally kid-friendly discoveries. - Student Materials Sampler: This sampler lets you preview the awesome Bible-teaching resources designed exclusively for today's kids. - Music: Your kit includes the Leader Version of the Shipwrecked music, featuring the full music CD, instrumental-only tracks, and song lyrics slide show. - Clip-Art: An awesome collection of graphic resources, guides, schedules, bulletin inserts and more! - Media: Your starter kit includes the Decorating Places DVD, Ultimate Director Go-To Recruiting and Training DVD, KidVid Cinema DVD, and the Sing & Play music DVD. 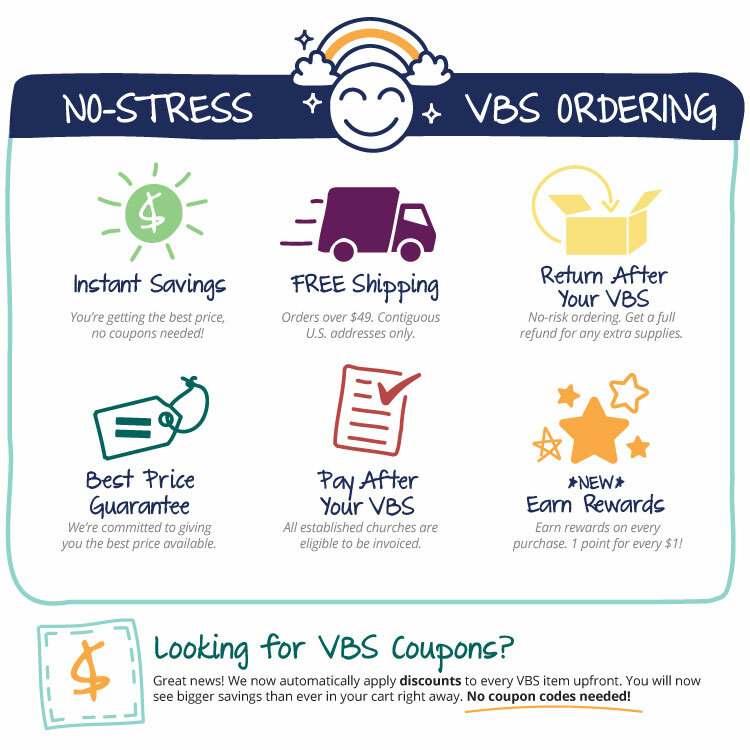 - Missions and More: Your ultimate starter kit also includes a missions project sampler plus information on lots of other one-of-a-kind VBS resources. - Shipwrecked Catalog: Packed with tons of resources to help you make Shipwrecked an easy-to-plan and unforgettable VBS event. Staff Review: Group Does it Again! by Concordia Team Member: Danny B. This year I am once again blown away at the quality of the Group VBS program. Overall I think Shipwrecked will be a great program for any church to consider. After going through training and reading through the various materials in this Starter Kit, I know you will be satisfied with this VBS 2018 course. Group's starter kits are packed with tons of great materials that give you a full understanding of the program. One word of advice would be to consider the Digital Plus version. The value of the digital materials as a backup and supplement are well worth the value in my opinion.